The VIGO Magnolia Matte Stone Vessel Bathroom Sink is sure to become an eye-catching statement piece in any contemporary bathroom. The spacious sink is seamlessly crafted from VIGO's signature Matte Stone PMMA, designed for durability. This bathroom sink set also features the distinctive double handle VIGO Titus Wall Mount Bathroom Faucet in a rich antique rubbed bronze finish and matching pop-up drain. 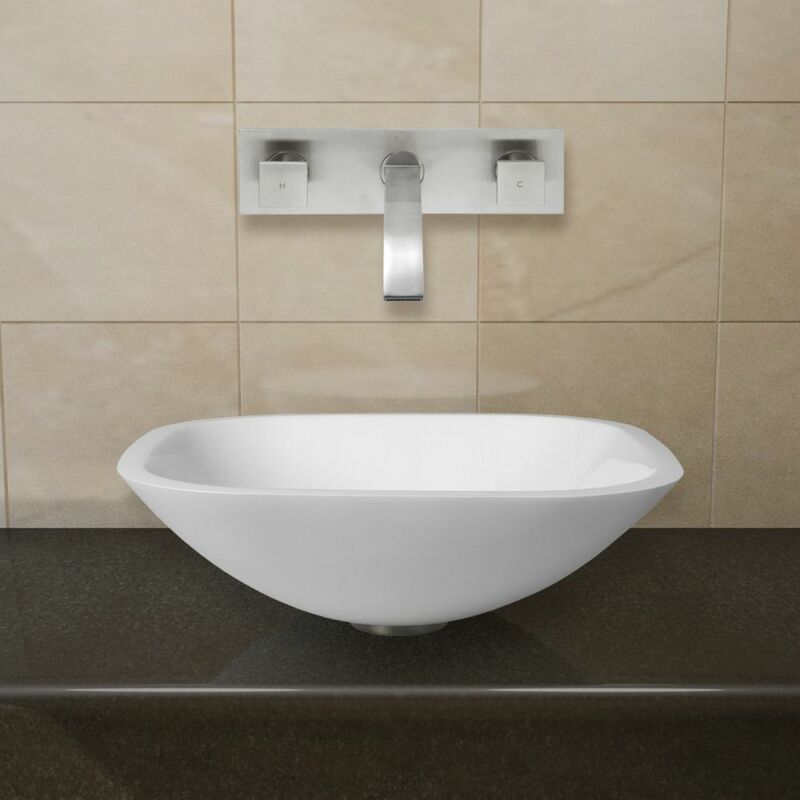 A distinctive oval shape and unexpected matte finish found in the VIGO Wisteria Matte Stone Vessel Bathroom Sink provide the perfect contemporary touch to your bathroom. VIGO's trademark Matte Stone PMMA makes this sink durable for the long run, resisting scratches and stains. The included VIGO Linus Vessel Bathroom Faucet creates modern contrast with its rich antique rubbed bronze finish against the crisp white sink, for a modern and fully functional bathroom sink set. Also features a matching pop-up drain. Square Stone Vessel Sink in White Phoenix with Titus Wall-Mount Faucet in Brushed Nickel is rated 5.0 out of 5 by 2. Rated 5 out of 5 by Wirenut from Great looking product. Good quality. ... Great looking product. Good quality.